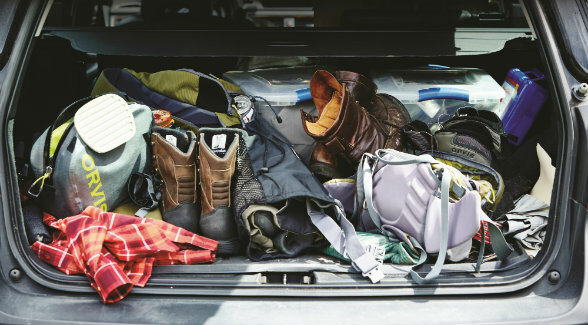 BEAUTY IS IN THE EYES OF THE BEHOLDER: To the uninitiated, this trunk is full of stuff. To the aficionado, however, it is a gearhead’s dream come true. 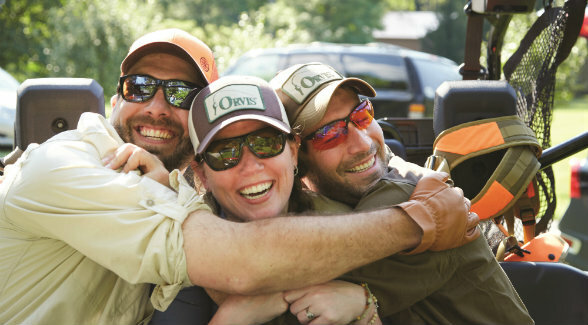 Who better than our friends at Orvis to give us an update on the latest and greatest sporting gear. P.S. 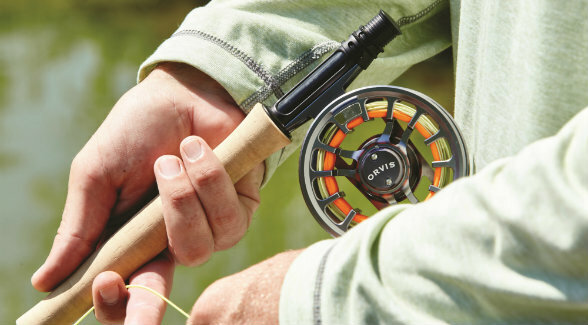 The newest reel from Orvis delivers a 12 percent increase in line retrieval rate with a narrow spool for less line stacking. Who’d have thought a classic gimme cap could make someone so happy. Actually, Jackie Kutzer (center) is about to partake in the blast part of our cast-and-blast photo shoot, and so are her husband Peter (left) and Charley Perkins (right). Her cap’s cotton-twill front sports a vintage-inspired patch. One size fits most (but not our photographer’s melon). Her midweight shooting shirt is hidden beneath her husband’s bear hug. Peter donned a mesh-backed blaze hat, a cool cotton shooting shirt, and a pair of uplander shooting gloves. Charley’s glasses use technology developed by NASA’s Jet Propulsion Lab. Finally! 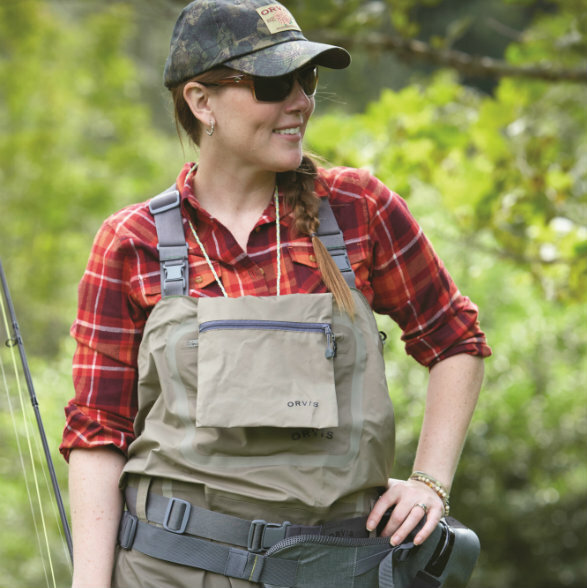 Chest waders actually designed for women. These convertible-top waders feature durable 4-layer nylon outer fabric construction, patented Orvis SonicSeam technology, and anatomically correct neoprene booties with rubberized lining. When that old largemouth bass chomps on your hopper, you can finish the fight without fear of breakage. The knotted strength of SuperStrong is higher than any other nylon material, which is why it’s the all-around freshwater leader material. Available in 30-meter and 100-meter spools.